Joyful moment follows ribbon cutting at Vineyard House. 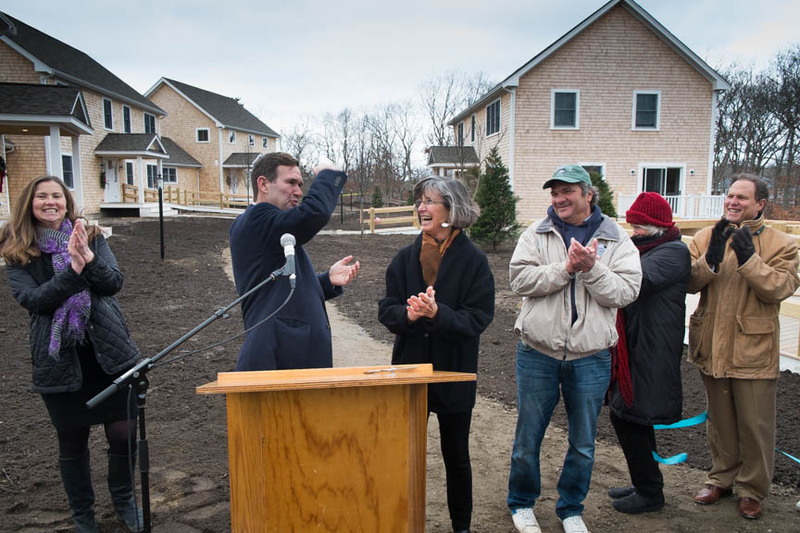 More than 100 people braved the cold on Friday and made their way up Short Hill Road in Tisbury for the opening of the new Vineyard House center, a residential campus for people recovering from drug and alcohol addiction. “We have had a miraculous transformation at this site in the last 24 hours,” said managing director Dawn Bellante Holland, who was joined by several of the group’s founders, early supporters, and others who had contributed to the project over the years. Each of the front entrances was adorned by an evergreen wreath, and a Christmas tree was lit up at the end of the main courtyard. People had been working since before dawn to prepare the site for the opening. Designed by Mashek MacLean and built by Squash Meadow Construction, the campus includes two men’s dormitories, one women’s house, an administrative building and spaces for meetings and other uses. An elaborate stone patio, known as “Patio-henge” by some board members, was designed by Island stone mason Lew French. Vineyard House was founded by volunteers in 1997 to provide safe, substance-free housing for people in the early stages of recovery from drug and alcohol addiction. 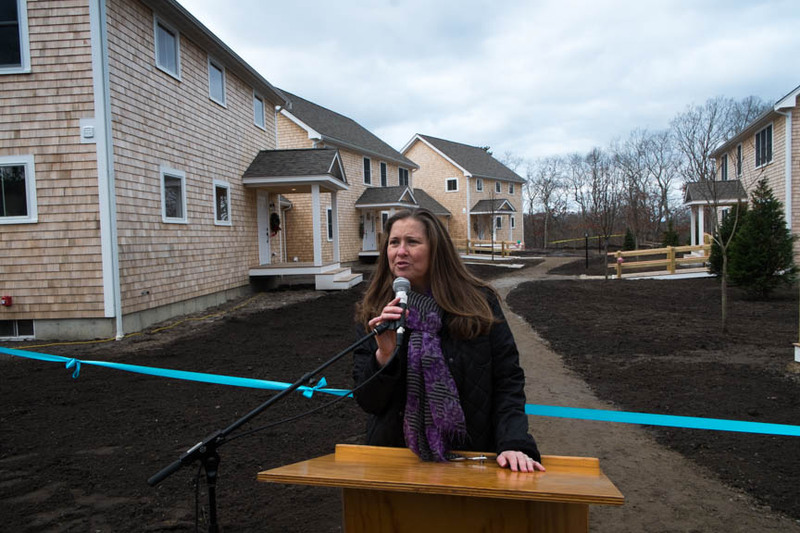 Its first property was financed by a private donation, and two others were later purchased near the Martha’s Vineyard Hospital. He added that the new Vineyard House is on-target for LEED gold certification, the second-highest rating offered by the U.S. Green Building Council. Mary Nada, a founding member of Vineyard House who headed the $3 million fundraising campaign for the new campus, had the honor of cutting the ribbon. Following the ceremony, people strolled through the new buildings in their stocking feet or in blue shoe covers, admiring the new spaces and catching up with friends. A formal dedication is planned for the spring. Will this be a much needed rehab, as well? Well done and great benefit to our community. Congratulations to all! Hope is alive and well, indeed. On Thursday, July 19, Vineyard House will hold their 21st annual Water Tasting By the Sea.